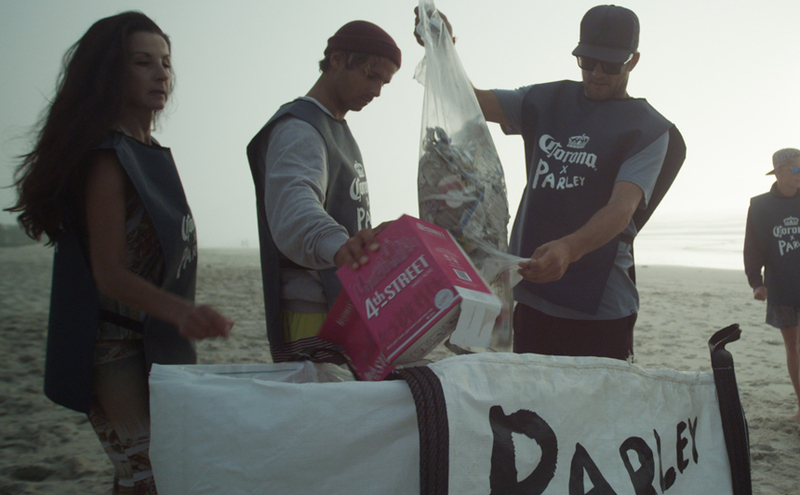 The Corona Coastal Cleanup Tour put a pencil line through their 6th stop, checking Wilderness off the to-do list. 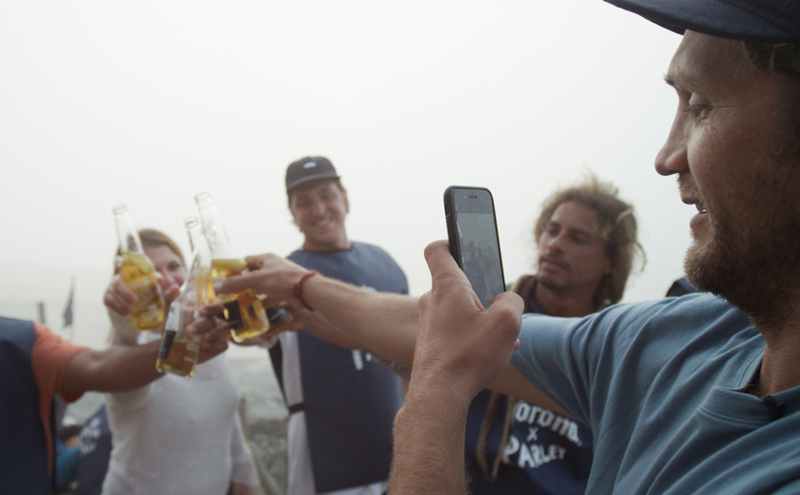 Before cramming, cameras, tripods and bags swollen and rank with dirty laundry into the car, Frank Solomon and the crew headed for an aqua reprieve. Smuggling out a longboard, Frank scored a free surf lesson from natures top shredders, dolphin. Circling him, the streamlined water mammals guided Frank into one of the most beautiful highlights of the trip as he worked his big toe on the nose of a retro single fin log. The sound of waves and yeeews, were quickly drowned out by the tours chief whip, Mascha AKA tic-toc, reminding us we still had a job to do. 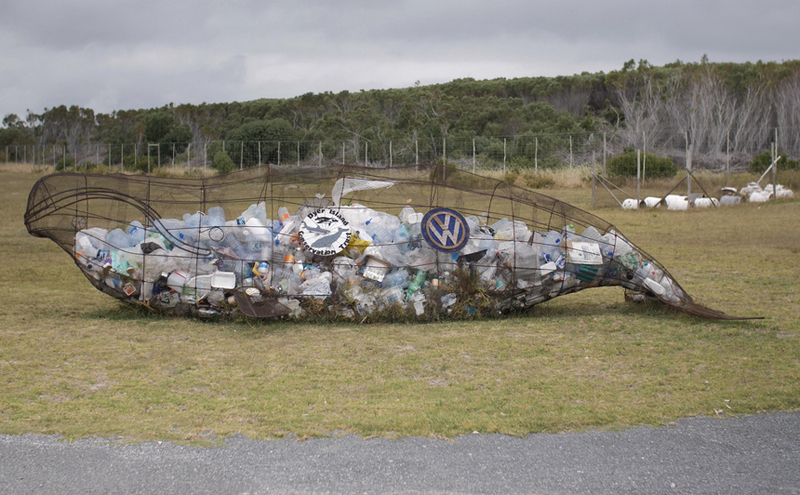 Drip drying our way up the dirt road to the Caravel, whilst smashing leftover veggie pizza in our faces, the team said goodbye to Wilderness, welcoming the N2 en route to Gansbaai. Although we were headed toward the great white capital of the world, it wasn’t sharks we were after, we were looking for something much bigger, we were after whales. 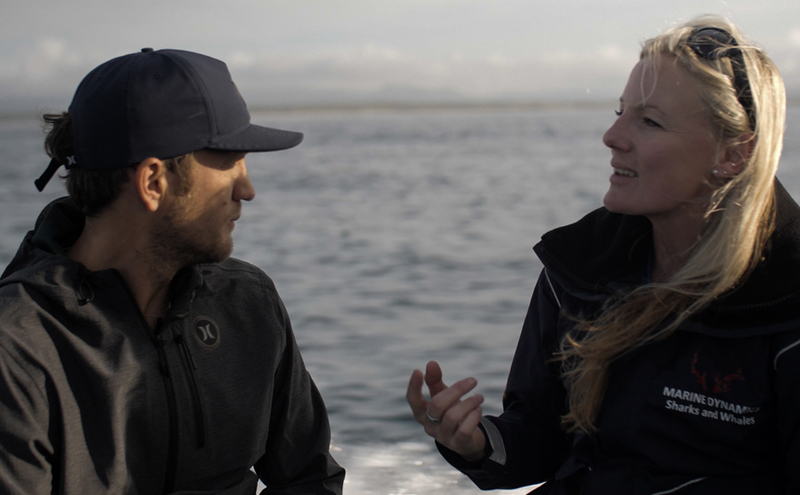 In Gansbaai, Frank met up with Alison Towner a world-renowned marine biologist and white shark scientist from Marine Dynamics. Alison graduated from UK’S Bangor University in 2006 with a BSc Hons degree in Marine biology. After working in the Red Sea and Greek Islands as a PADI instructor, she joined the Dyer Island Conservation Trust, South Africa, in January 2007 and has remained on site ever since! Marine Dynamics is a Shark Cage Diving company based in Kleinbaai, a small harbour town, part of Gansbaai in the Western Cape. 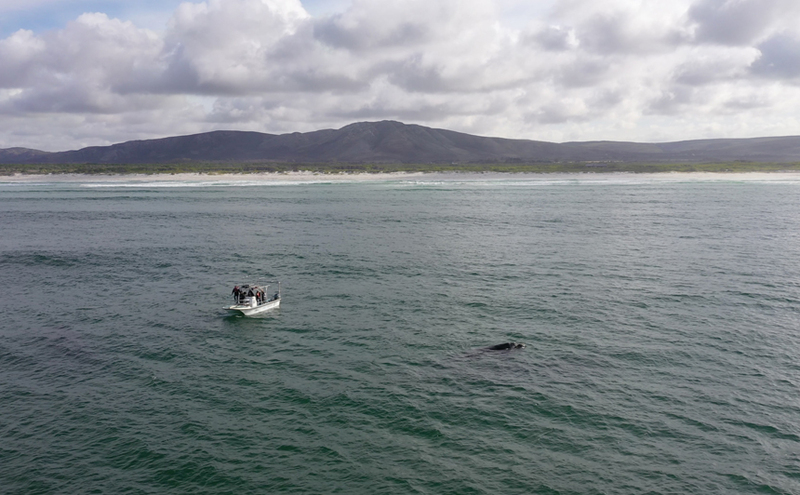 The area is known as a hotspot for great whites and is rated the best place in the world to interact with the misunderstood toothy beaut. Historically marine conservation has been largely neglected, creating a void of peer-reviewed and scientifically approved information. 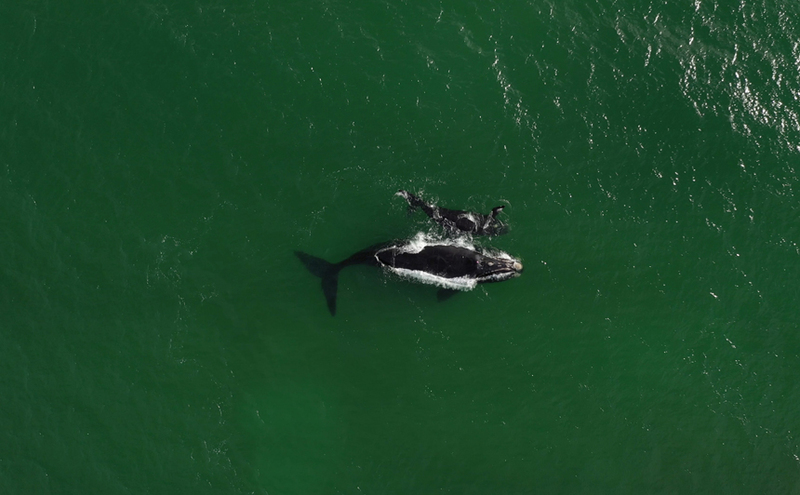 This has created a niche were new exciting and ongoing research aims to find out more about marine species and the ecosystems in which they live. 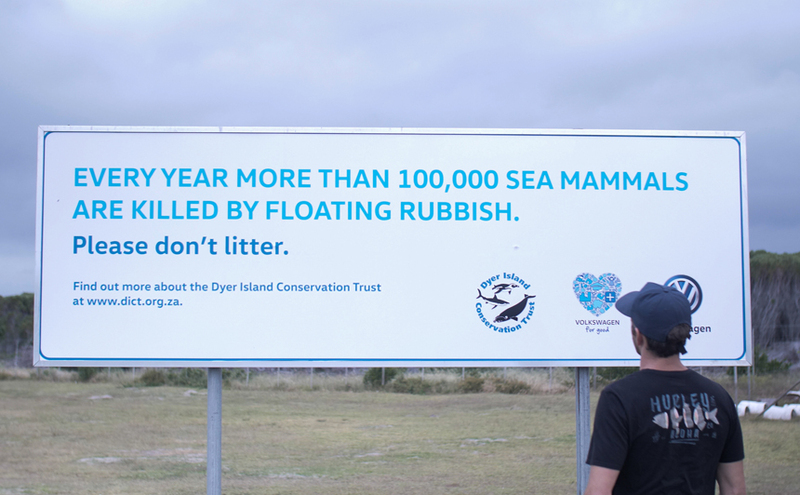 And this is exactly what Marine Dynamics and Dyer Island Conservation Trust aim to do! 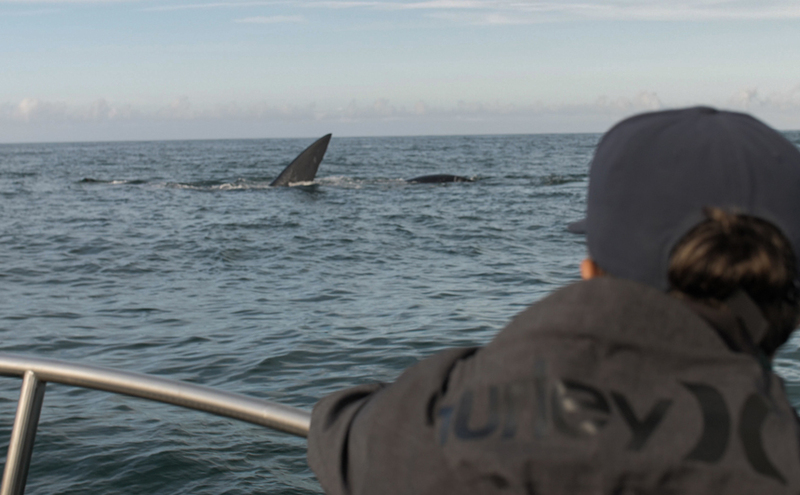 Every trip on either their shark diving or whale watching boat is a flippen adventure as well as an exciting crash-course in marine biology. All in all, they strive to educate the masses about the trends, traits and troubles of the endangered great white shark and all the other equally amazing marine creatures. After having a whale of a time (gotta love a good cliché) and receiving the boot from our Airbnb host, the tour stretched its legs one last time. 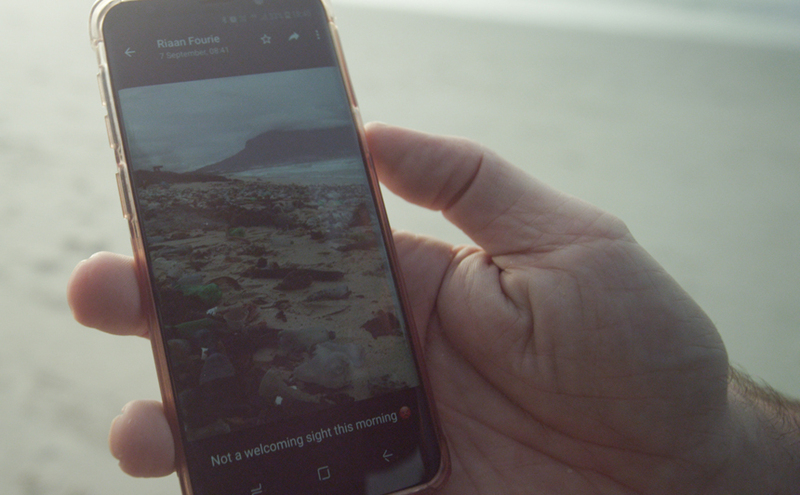 Cape Town bound and high on nostalgia, the mother city was calling our names. After being starved of waves along the way, Cape Town decided to through us a bone, not a big lamb shank sized bone but rather one from a chop. Never the less, oues chowed that bone. 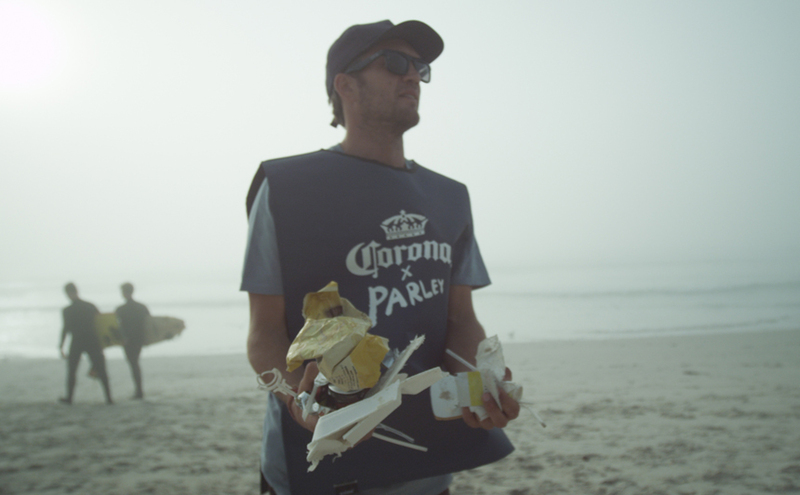 With stomachs full and spirits higher than Snoop Dogg, Frank pulled out the Corona flags, dusted off the bibs and set up shop in front of the Milnerton Lifesaving Club, for the last beach clean up of the tour. 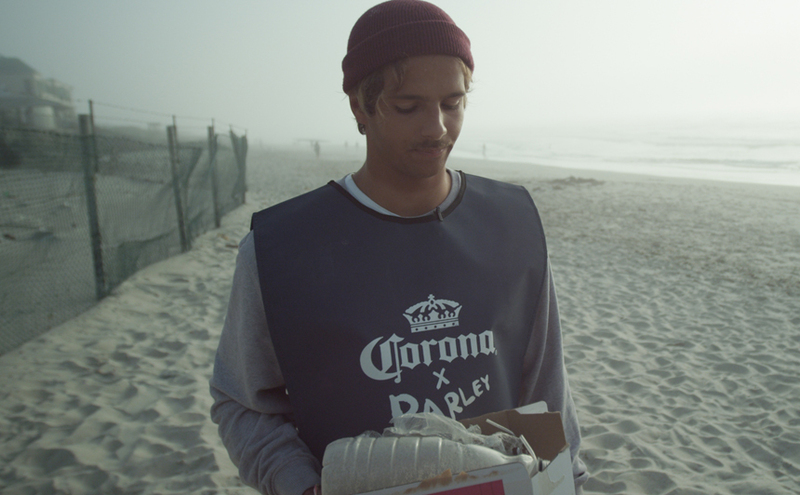 Even in the throes of rush hour traffic, the mense pulled through to lend a Western Cape hand to the sand. With a dense fog bank blanketing the shore like a scene out of Pirates of the Carribean, the cleanup crew rolled down their sleeves (it was damn cold!) 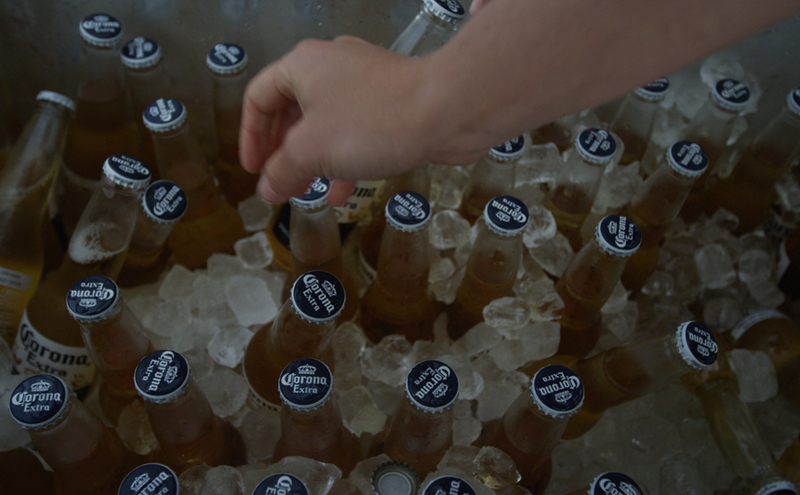 and started sorting the organic from the synthetic. 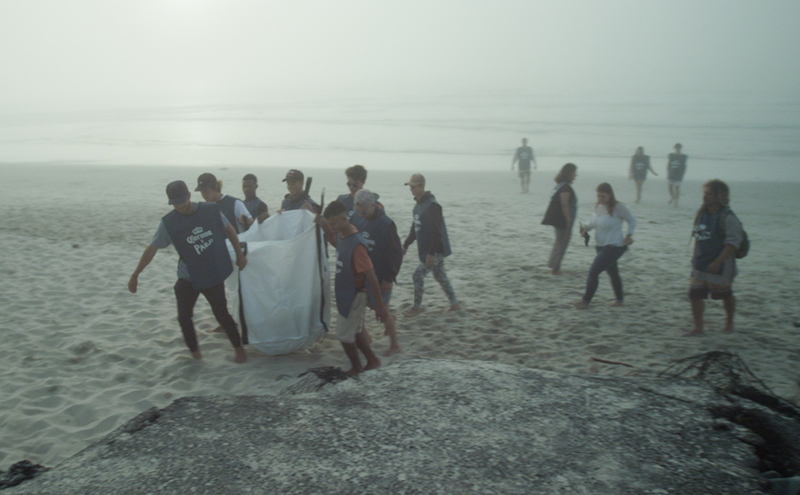 The atmosphere could not have been more dramatic as beach cleaners emerged from the distance in an ethereal salty haze, escorting hand fulls of plastic as they dodged dried bits of kelp and frigid waters en route to the Parley stamped silo bags. 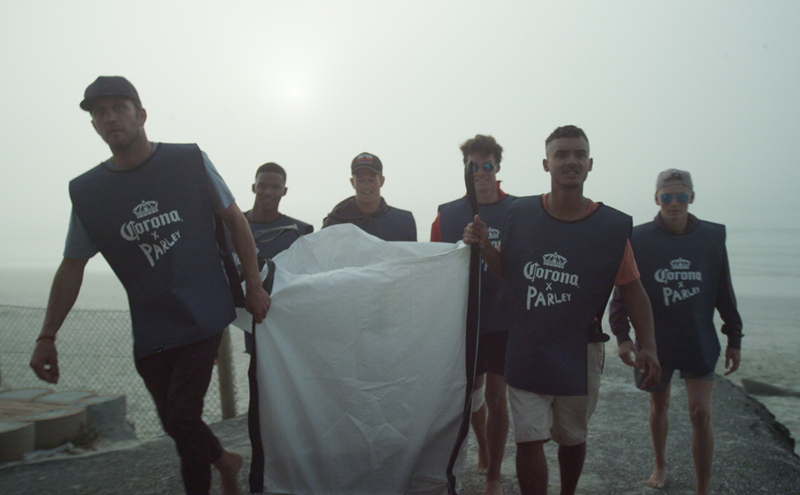 With 90 minutes on the clock, and extra time looming, the cleanup crew buried a late one against marine plastic, cracking some Corona and cheersing to a trip well done. 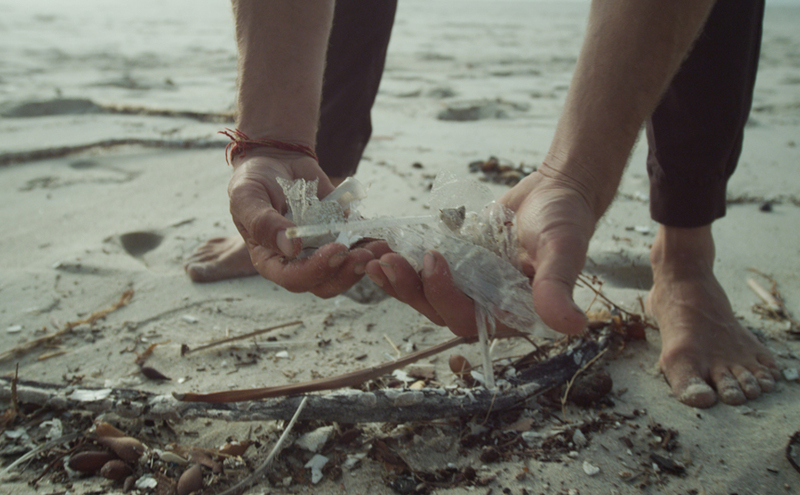 To everyone we met along the way, and to everyone out there doing their bit to combat marine pollution and climate change, we thank you. The tour may have come to a close, but that sure as hell don’t mean Frank and the efforts of everyone involved followed suit. Stay tuned for the web series, documenting the various characters we met along the way, outlining their efforts to conserve and protect. Peace!